The province of Phang Nga is one of Thailand’s most intriguing regions. Located in southern Thailand and bordering Phuket Province, Phang Nga offers a respite from the big-city life that is found in Bangkok and other major Thai cities. While spending time here, you will have the chance to see a different side of the country. Breathtaking beaches, awe-inspiring landmarks and cultural and historical treasures help create a magical setting that will enhance your visit. You are sure to get the most out of your holiday in Phang Nga when you visit these attractions. 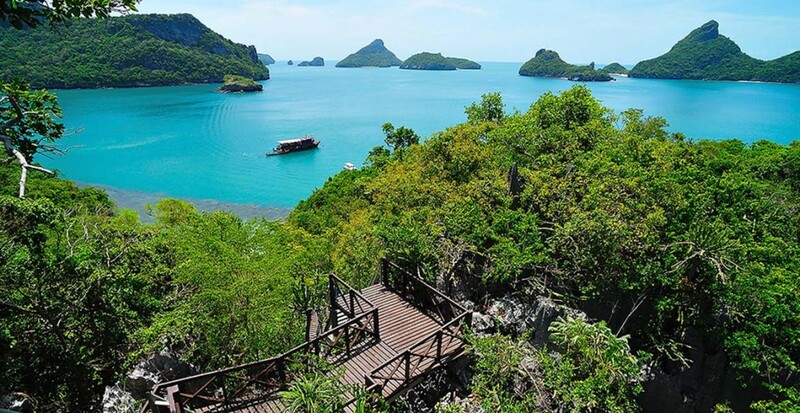 Extending out into Phang Nga Bay, this national park is made up of lush wilderness, stunning waterways and islands that have been formed from limestone. Khao Phing Kan, commonly referred to as “James Bond Island,” was one of the filming locations that was used for the movie “The Man with the Golden Gun.” You can also take a boat tour through caves that have been meticulously crafted by the power of nature. Mangroves and other indigenous vegetation are ubiquitous throughout much of the park. This Buddhist cave temple is considered to be one of the most sacred landmarks in the region. A large statue of a reclining Buddha along with other smaller statues and religious symbolisms adorn much of the temple. The monkeys that live around the temple are known to approach visitors for food and provide the perfect photo opportunities. Made up of a series of beautiful beaches, Hat Khao Lak is a seaside paradise that continues to intrigue locals and visitors alike. 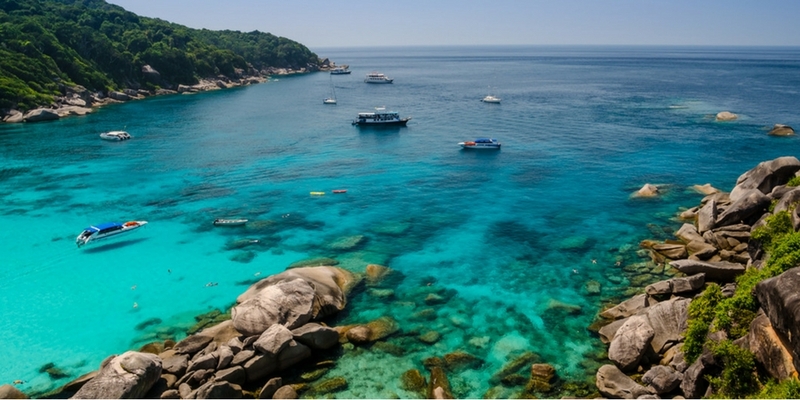 The Andaman Sea hugs the coastline and offers great conditions for snorkeling and swimming. Hills that are shrouded in thick forestry provide the perfect backdrop. You can also find small towns dotted throughout the region that feature shops and restaurants. The most notable feature of this temple is its giant statue of a seated Buddha. Located atop Khao Lan Hill in the Thap Put region, the temple also features a statue of Kuan Im, who is known as the Goddess of Mercy. Many people are known to come to Wat Bang Riang with the hope of being blessed with good luck. The colourful building housing the temple itself is decorated with traditional Thai and Buddhist symbolisms and has an outdoor path lined with two dragon statues leading up to its front entrance. As you walk through the temple, you will see Buddhist monks along with other tourists who are dressed modestly to pay their respects. Tropical evergreens and fascinating wildlife creatures await you at this national park. Khao Lak and Lam Ru, which are the two mountain peaks that give the park its name, offer challenging hikes and lovely views of the surrounding countryside. You will also find a beach area that allows you to spend some quiet time in a peaceful seaside setting. The park additionally boasts a series of waterfalls that further enhance the ambience. Some of the animals that you might see within the park include the flying lemur, Malayan porcupine and Sumatran serow. This bustling marketplace can be found amongst the villages within the Khao Lak district. Food vendors commonly sell items like corn on the cob, rose apples and fresh quail eggs. You can also sample seafood options like fried prawns and mussels. Many people line up to try the banana pancakes and other sweet treats. If you are on the hunt for some merchandise, you will have no trouble finding vendors who sell shirts, shoes and handmade scarves. Handbags featuring unique designs make the perfect souvenirs. Spending time here will give you the chance to interact with some of the locals and possibly meet other visitors from around the world. Also within the Khao Lak district is this museum that pays tribute to the victims who were lost to the 2004 tsunami that struck the area. Educational displays showing stories of survivors’ testimonies can be seen inside the museum. A large police boat that was salvaged from the tsunami sits outside the museum on display. An outdoor memorial that was built to resemble a tidal wave is another notable feature near the museum. If you enjoy seeing and learning about turtles, this nursery is a must-see attraction. This attraction is especially great for children. Large, small and even baby turtles make their homes here. Comical outdoor turtle sculptures add to the character of the exhibit. You even have the option of purchasing food and feeding it to the turtles. These islands, which make up a national park, are just a short boat ride from Phang Nga’s mainland. Dive sites around the islands allow people to explore life beneath the ocean’s surface and see coral reefs, aquatic flora and colourful tropical fish. Many of the wildlife species on the islands are protected from hunting and trapping. Dramatic rock formations jutting out of the sea can be seen around many of the islands’ beaches. When you spend time at this beach, you will likely not have to deal with as many tourists and will have the chance to enjoy some alone time in a more remote setting. Thai Muang Beach is also the site of the annual multiday Free the Turtles Festival, which includes the release of baby turtles that were cared for by the fisheries department into the sea. The nearby village with the same name features restaurants that serve both Thai and Western dishes. Crowning the northwest coast of Phang Nga, Phuket is Natai Beach. She is a magical haven. Gazing upon her aqua sea bathes you in tranquility. The curve of her beach creates an enchanting smile. Waves whisper, sparkle, and wink. akyra Beach Club Resort is blessed to be caressed by this stretch of exquisite beach. From our resort, you can explore the following Phuket treasures. This group of islands makes up part of Mu Ko Surin National Park. You can tour these islands to see animals like Bengal monitors, skinks and many bird species. The endangered green and hawksbill turtles are also known to inhabit the islands. You may even get the chance to see Bryde’s whales swimming off the shore. South Surin Island plays host to the springtime Chao Ley Boat Floating Festival, which includes music and dance shows performed by Morgan sea gypsies. Located within the Takua Thung district, this park often draws visitors who come to see the waterfalls and play in their pools. You can also go for a hike along the trail if you want to immerse yourself further in nature. Covered picnic tables can be found to provide shelter if you happen to visit during a rainstorm. This immense cave can be toured safely with a guide. You will start your tour by taking a canoe ride along a waterway inside the cave. You will then take a bamboo raft to an area where you can explore the cave by foot. During your journey, you will notice impressive limestone rock formations that add to the cave’s natural appeal. The cave also features carved figures of elephants and crocodiles. One of the elephant sculptures is covered with ruby rocks and is considered to be a highlight of the tour. 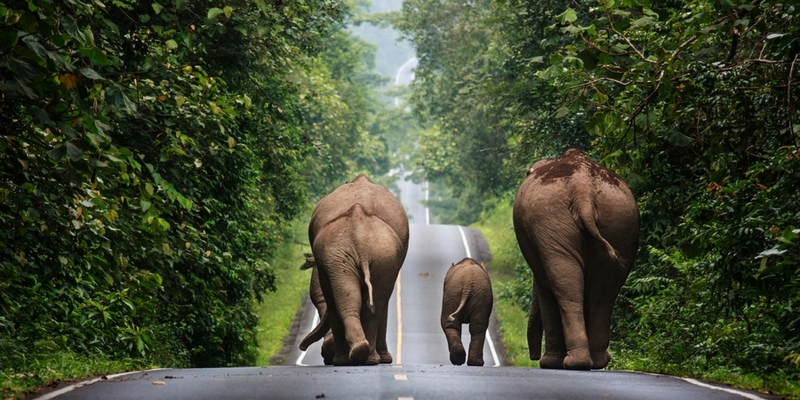 You will have no trouble finding plenty of fun things to do during your Phang Nga holiday. When you stay in one of akyra Beach Club’s luxurious guestrooms, you will have easy access to all the best attractions in Phang Nga.